Impress your child with this endearing little share of cutlery that will definitely light up her day. 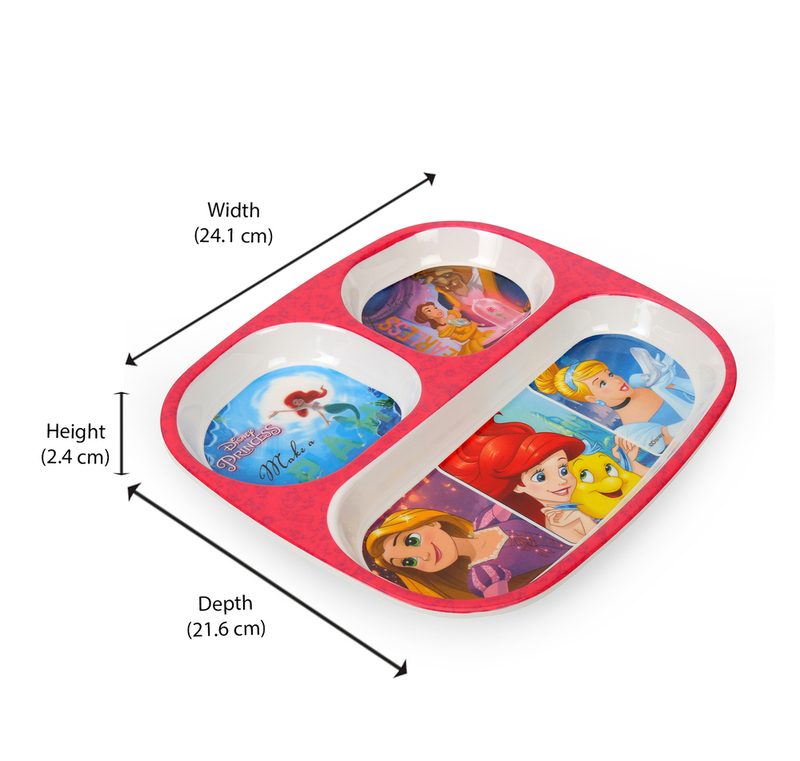 Get your little one a Princess Rectangle 3 Section Dinner Plate - @home by Nilkamal, Multicolor. Let your princess savour her meal with the enchantment of her favourite fairytale. This tuff melamine plate is smartly designed with the right number of sections for your child to have a proper meal. This plate adds a glimpse of mischief to your everyday cutlery. There's a different Disney princess printed on every compartment to make sure your child is happy to choose. Refresh your everyday cutlery with some goofy kiddish items to give your diner a divergent look.